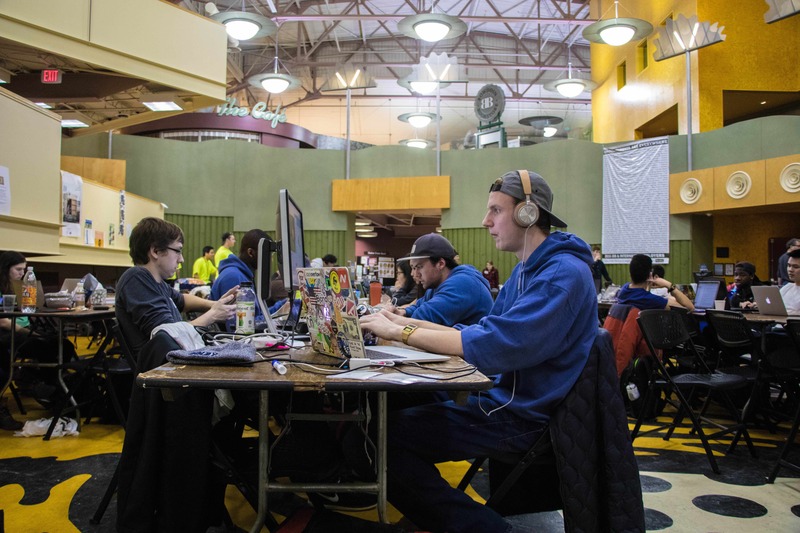 Hack the Planet: Students code as part of the CBBHacks Hackathon in David Saul Smith Union last weekend. 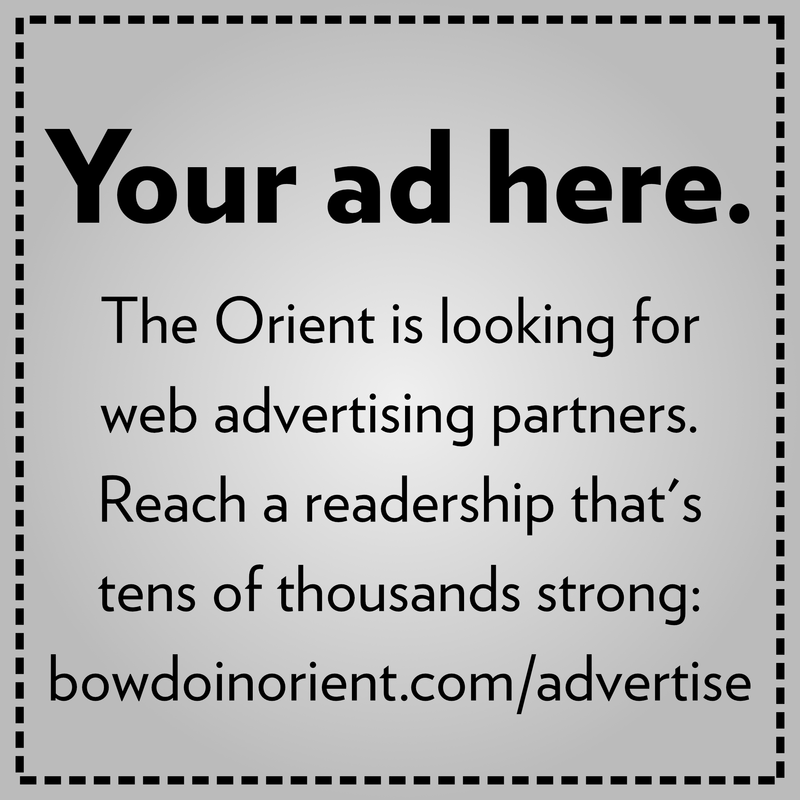 It was the third time Bowdoin hosted the event. The Hackathon began Friday evening and lasted until Sunday morning, when students presented their projects. Jessica Webber ’18 said she was impressed by the commitment that teams from other colleges showed. She noted that competing in the Hackathon was not an easy task—visiting students slept on the floor of Smith Union when they were not coding. “It’s kind of self-selecting, the kids that are willing to make the six-hour drive and sleep in the Union,” Webber said. Although most of the students who took part in the Hackathon were interested in computer science, Boyle emphasized that being a computer science major was not necessary in order to participate. He noted that several students from Bates competed, even though their school does not have a computer science program. Although a team from Colby took home the top honor, several groups of Bowdoin students won awards. According to Boyle, the Hackathon awarded more prizes this year compared to previous competitions. Webber, Arjun Laud ’20, Philip Wang ’18 and Seth Chatterton ’19 are all members of the rowing team. They spent the weekend designing an alternative to the cox box, which coxswains use in rowing to measure strokes and time. The group was awarded Best Hardware Hack. Jimmy Lemkemeier ’19 and Ezra Sunshine ’19 attempted a different kind of project. The program Lemkemeier and Sunshine created was 84 percent accurate in predicting heart disease. “We were proud of that given that 30 percent of initial heart disease diagnoses are incorrect,” Lemkemeier said. The pair won $400 in Amazon gift cards for their project. The hackathon also featured virtual reality technology, brought by one of the sponsors. A group of Williams students organized their project around the technology, and passersby in the Union got the opportunity to interface with it. Boyle hopes to encourage greater participation in future hackathons. Although 133 students signed up for the competition, only 50 students actually showed up at the door. He said that getting high-profile sponsors, such as Apple or Microsoft, might encourage greater turnout. Still, Boyle was happy with how the event went. “Everybody who showed up here seemed to have a good time and learn something, and I think that that’s the most important part,” he said.